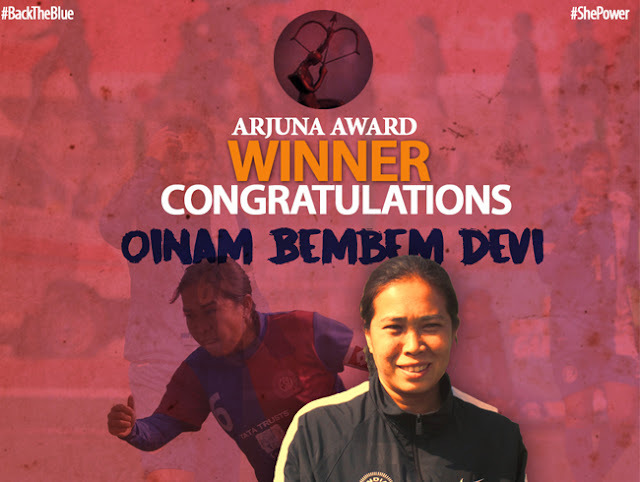 Oinam Bemdem Devi, the flag bearer of Indian Women’s Football over the past two decades was on August 18, 2017 named the winner of the Arjuna Award, thus becoming the first Woman footballer to achieve the feat in more than 30 years. Shanti Mullick was the last female footballer recepient of the same award in 1983. Bembem, nicknamed the ‘Durga of Indian Football,’ made her International debut in 1995 bowed out on a high after winning the SAF Games Gold Medal in Shillong in February 2015. She has hence been closely associated with All India Football Federation in spreading awareness about Women’s Football in India and actively involved as a scout and Brand Ambassador for FIFA Live Your Goals, India. Speaking to http://www.the-aiff.com Bembem said that she expects the Award will “motivate millions of girls to take up Football.” “This is an Award for Indian Women’s Football,” she stated. Congratulatory messages poured from all parts of the country for the Legendary player. All India Football Federation President Mr. Praful Patel congratulated Bembem on her achievement. “Bembem has been an inspiration to all women in the Country. Her contribution to Indian Women’s Football has been exceptional. She deserves the Award. Congratulations,” he said..
AIFF General Secretary Mr. Kushal Das mentioned that Bembem has been a “role model for so many youngsters.” “She has played for India for over two decades and has been a top performer. She is a role model for all budding women footballers. Congratulations,” Mr. Das stated. Women’s Head Coach Maymol Rocky couldn’t hide her delight over the phone. 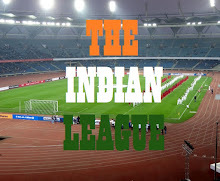 “No one deserves the Arjuna Award more than Bembem. She has done so much for Indian Football both on and off the field. I am very happy for her. Congratulations,” she told. She is the 25th Footballer to have won the Award, the last being Subrata Paul in 2016. In addition, she was also awarded the AIFF Woman Footballer Award twice, in 2001 and 2013.